Lab Supply is your one stop shop for all of your lab animal needs including feeds, enrichment devices, treats, medical care and now a great selection of lab animal transportation options. Transporting lab animals is a crucial, but often overlooked job in lab animal facilities. Now Lab Supply has a number of Transbox products that are specially designed for transportation. 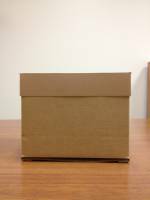 We have a number of different lab animal transportation boxes ranging in sizes Small to Large. If you need to transport your lab animals with more ease and efficiency, then be sure not to miss out on this great product. If you would like more information about our lab animal transportation boxes, then please click here to view the item in our store. Here at Lab Supply, we are committed to making sure you find exactly what you are looking for. If you would like more information on the lab animal transportation products we offer, then please click here to visit our contact page. We will be more than happy to answer any questions you may have.